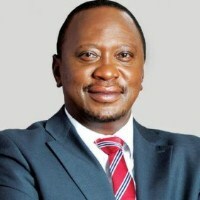 The new Constitution (2010) established the structure of the Kenya Government. According to Chapters eight, nine, ten and eleven, the Government of Kenya consists of the Executive, the Legislature, the Judiciary and the Devolved government. Kenyas Parliament consists of two houses: the National Assembly and the Senate. The Judiciary is headed by the Chief Justice and is divided into Superior Courts and Subordinate Courts. The Superior Courts are: the Supreme Court, the Court of Appeal and the High Court. The Supreme Court is the highest court in Kenya. The Subordinate Courts are: the Magistrates Courts, the Kadhi Courts, the Courts Martial and the Tribunals. The Kenyan Constitution established 47 Counties, each with its own county government. The County governments consist of the County assembly and the County executive. The County Governor is the head of the County executive.